Business review time, when is this? Ideally, it’s an annual occurrence. Don’t worry, if you are like most small businesses, then there is no set time. The likelihood is that there has not been a business review for quite a while. You may be thinking, ‘why should this be necessary when I spend all day every day obsessing over what the business should be doing better?’ The truth is that, from a day to day perspective, it is hard to get a bird’s eye view of both your business and where it sits in the wider scheme of things. …as business owner, you need to focus ‘on’ the business not ‘in’ the business. Having a thorough understanding of where your business is in terms of the wider market, which is evolving all the time, is critical to the success or failure of your operation. If you do not move with the times, even obvious things like updating your website, then it is easy to become outdated and irrelevant. The effect on sales will not be immediately obvious. It’s like a very slow dripping tap. But a gradual downturn that if left too long will be an expensive makeover. Run a health check on your business. Just as you need to visit your health professional every now and again for a once-over, you need to do the same with your business. When you hit the new year or your company’s anniversary, make a few days available to run the rule over the business and the wider market. This will do two things. 1. break the routine and give you a much-needed breather. 2. give you clear thought to understand where your business is heading. Get some outside help. You may not be the best person to get some objective thoughts on your own business and there is nothing wrong with that. Even if the outside person is only there to provide guidance on steps to go through while you assess your operation, that is helpful in itself. You may want to bring in specialists for particular parts. Finance or software, with you acting as the guide. Get away. It is not a holiday but if you can perform this check-up away from your usual place of work. This will help provide perspective on all matters. If you have a team working for you, an away day or two with a night in a hotel can be just the ticket. Running this rule over your business will throw up some interesting data and also areas and products that you may have forgotten about. This kind of thing could be money for old rope. Work and time that you have put in already on products that could be re-packaged and easily placed online as a special offer. It is precisely this kind of upshot that gives you fresh insight into your operation and a good idea of what will work going forward. Taking time to look externally will also shape your strategy for the year ahead. Getting market ready and cleaning out the cobwebs at the same time. 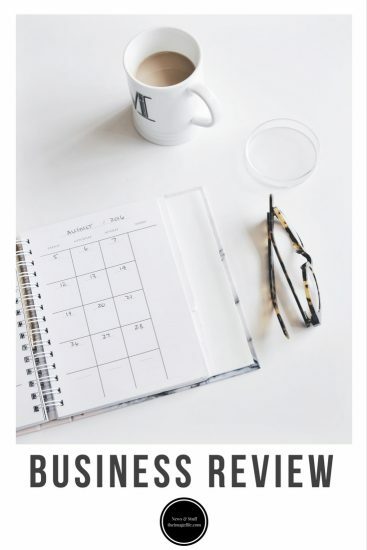 Remember as a business owner, you are responsible for the business review. At times you need to make time to focus ‘on’ the business not ‘in’ the business.